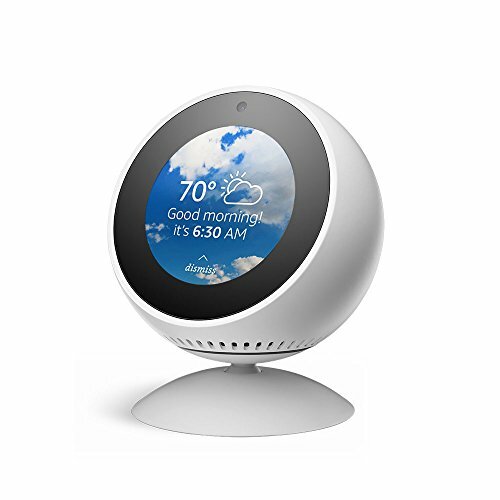 The Amazon Echo Spot is the second Echo device (behind the Echo Show) that offers up video display. We raved about how the Echo Spot makes the perfect alarm clock in our review. And with some third-party accessories on the market, this cleverly designed gadget can become even more valuable in your home. This stand by Amazon solves two of the biggest problems with the Echo Spot. The first being viewing angles. After connecting to the magnetic base, you can now move the Spot around to find the angle that’s perfect for your room. Especially handy if you’re using it to make video calls and want the camera aimed directly where you’re sitting. The second benefit is in sound quality. The Spot unfortunately has it’s speakers near the bottom which tends to dull sound. But with a little elevation from the stand, it can now project across the room to our ear’s delight. Available in both black and white, it’s a sturdy stand for only $19.99. 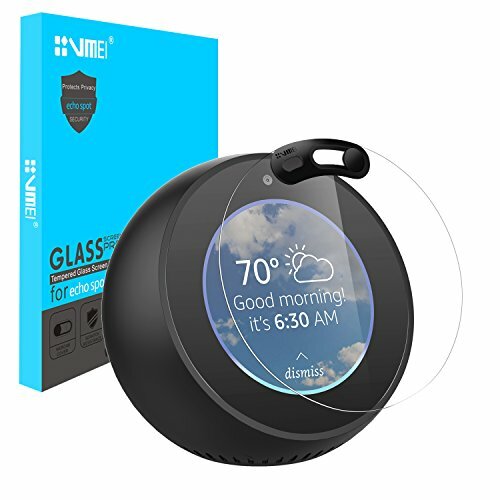 If your Echo Spot happens to be sitting on a kitchen counter or other part of the home that has the potential for danger, a screen protector is a nice investment. Similar to how we protect our phone screens, these protectors are custom fit to cover the entire surface of your Spot. Save your Spot’s screen from scratches, scuffs and other damage. As someone who uses the Spot as an alarm clock in the bedroom, a webcam peering into the most private room in my house can be unsettling. Fortunately, just about any webcam cover will work. This option by Cimkiz works not only on your Spot, but laptops and other devices that have a camera. A helpful part of the design is that you can slide the cover on and off. So if you have a need to make a video call, it takes but a second to open that camera lens up. Then slide it closed when you’re done. Beats using electrical tape. If the simple black border doesn’t suit your fancy, MightySkins and DecalGirl have you covered. With hundreds of creative styles, you can really make your Echo Spot stand out from the rest. They’re easy to apply and under $10. Buy Mighty Skins here or DecalGirl here. 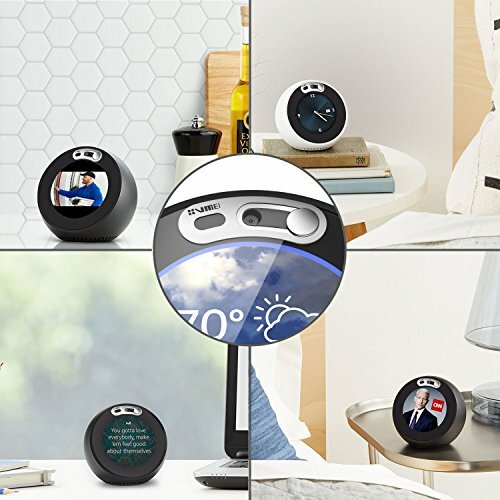 The Echo Spot currently only comes in black or white. But sometimes a room calls for some color. These skins from Micro Cables does the trick. They securely wrap around the device and are built to fit around the buttons and microphone. The bottom aligns with the speakers to avoid any sound distortion. 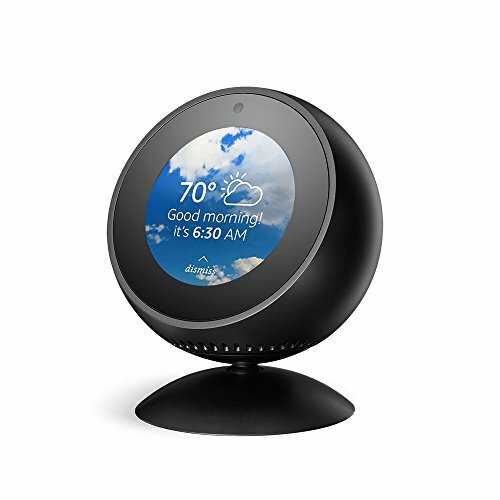 And the whole thing is compatible with the official Echo Spot stand. 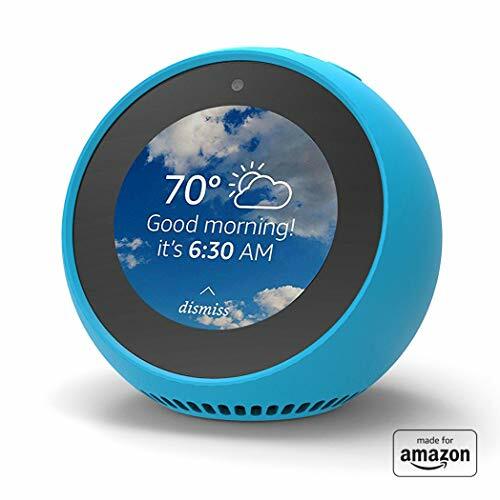 Please also check out our article on the best Echo Dot accessories on the market.